This is an exciting new initiative of the Fermoy Community Health Project and the Fermoy Community Resource Centre. Planning commenced in March 2015 in relation to phase 1 of the project. 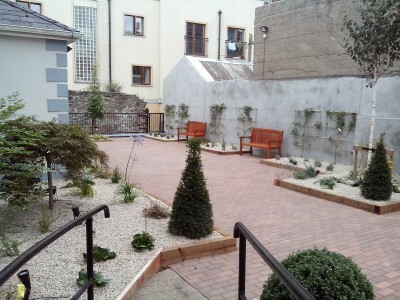 This involved clearing the tress and overgrown shrubbery in the front and rear gardens, this work was completed in May 2015 courtesy of Liam Barry & Staff, BH Tree Services and Brendan Buckley and staff of Tree Fields Nursery Ltd. 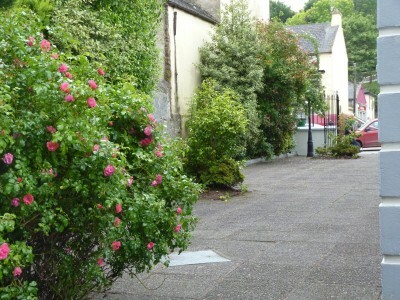 Phase 2 of the project involved the repair work to the archway and stone walls which would provide the backdrop to the new community garden and plastering of the boundary walls in the front courtyard. In August 2016, phase 3 was completed; this saw a complete transformation in the front courtyard of the Resource Centre. 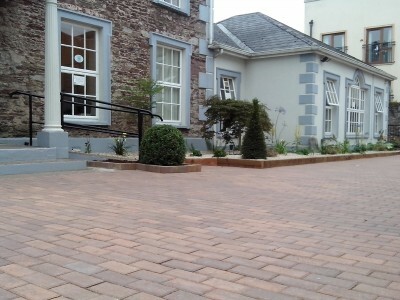 The newly refurbished courtyard is being widely used by those working at and visiting the Resource Centre, as well as members of the general public who like to admire the planting and sit on the benches for a catch up with friends. The Resource Centre building and surrounding grounds were designated a smoke free area in January 2018. 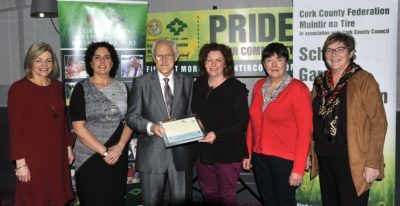 It really is a a beautiful green space in the town centre; which has also come to the attention of others and we are delighted to be in receipt of two awards; the first from Muintir Na Tire Pride in our Community and the second from the Fermoy Tidy Town committee. 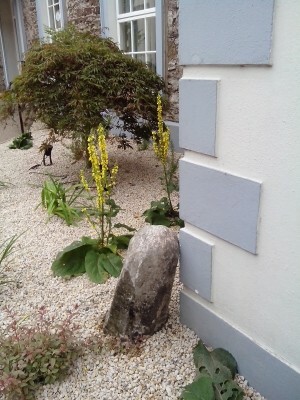 We are currently fundraising to raise €2,500 which is the balance required to complete the installation of a water feature in the front courtyard phase of the community garden. This will be the final jewel in the crown of this wonderful community space. We started our fundraising drive in 2018 with a Summer Planting Talk and Demonstration – see you tube video below. If you are interested in making a donation to the community garden project fund, please contact Jacinta McCormack, Community Health Worker 085 8742320 or Mary Flynn, Coordinator Fermoy Resource Centre on 025 32962. Offers of help with fundraising for this wonderful community initiative are also most welcome, and again, please feel free to contact either Jacinta or Mary who will both be delighted to hear from you. Our vision is for a community garden project in the grounds of the Resource Centre; this will be a place where people can meet and learn to sow and plant a variety of vegetables, flowers and fruits. 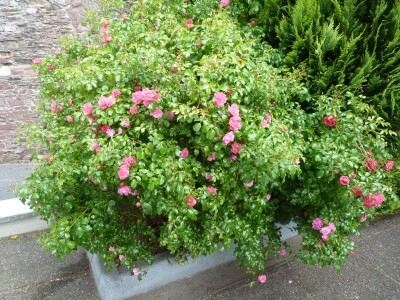 The garden project will be open to anyone with an interest in gardening. We aim to encourage interaction between the younger and older members of the community and hope the area can be used for play, learning, meeting, and socializing, as well as gardening. It is an important means of sustaining critical social networks between the Fermoy Community Resource Centre and other community groups within the locality. Community gardens make a massive contribution to community development and quality of life and exposure to ‘green spaces’ or areas of ‘nature’ have a proven positive effect on mental and physical health and well-being. This has become a firm fixture in the annual calendar of the Christmas season. Christmas is a time to celebrate our blessings with family and friends, and also serves as a time to join together with them in remembering friends and loved ones who are sadly no longer with us. 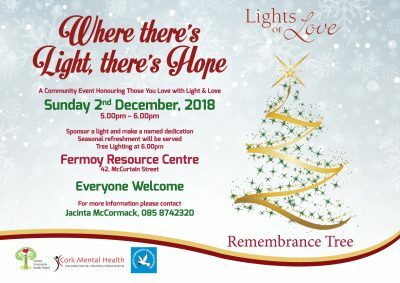 Fermoy Community Health Project in association with the Fermoy Community Resource Centre and the Fermoy Committee of Cork Mental Health invites you to use the ‘Lights of Love’ tree to remember your loved ones this Christmas. The remembrance tree is located at the beautiful new courtyard of the Fermoy Community Garden in the grounds of Fermoy Community Resource Centre on McCurtain Street. The ‘Lights of Love’ tree will be lit at a special community event in the Community Garden on first Sunday in December at 5pm. All are welcome to attend the event, at which you may, if you wish, sponsor a light to remember your loved one by making a €5 donation. For your donation, you will receive a unique ‘Lights of Love’ Christmas remembrance card for each light sponsored, and you can also make a named dedication which will be placed in our special memory frame. All proceeds will go directly towards the fund for the completion of the Community Garden which is already being widely enjoyed by both young and not so young alike. Refreshments will be served on the night to compliment the music and reflection. We hope the event will provide a warm space during the festive season to cherish the memories of our loved ones as the lights continually shine over the Christmas season and into the New Year.